Leaving home to go and study at university is one of the most liberating and exciting moments in a young person’s life – whether you are only a hour away from home because you like to nip back every other weekend and get your clothes washed or whether you have gone the other side of the country to finally cut those apron strings, leaving to study can be a great experience. But why not try something even more daring and exciting by studying abroad – adopt a whole new culture by absorbing another country’s way of life. And there is no better place to go away and study than Germany – for reasons such as fascinating cities, an exemplary and cheap education system, a wide variety of courses to study, and of course the opportunity to learn a bit of Deutsch! One of Germany’s most historic and oldest cities is nicely juxtaposed by being one of the youngest populated towns in Germany. One in five of Münster’s 280, 000 inhabitants is a student meaning it is a great place to go and study as there is a vibrant student community. The city itself has a history which spans over 1200 years with the Aldstadt being home to numerous historical buildings and impressive medieval grounds. The city is surprisingly green – with a green ring around the Altstadt while also being embedded within the charming park landscape of Münsterland. The university is made up of 15 faculties, teaching 110 subjects and serving around 40, 000 students. Subjects range from medicine, law, business, musicology, science and humanities – and best of all there are no tuition fees. As an academic and cultural city, Münster offers a wide variety of museums, theatres and events. The city is also well- known as Germany’s bicycle capital – statistically every inhabitant owns four bicycles! The university offers a vibrant student life with over 100 sport courses, while many trips are organised for international students around Germany as well. You are guaranteed a good night out too - the city of Münster has a buzzing nightlife with more than 1000 bars and clubs! 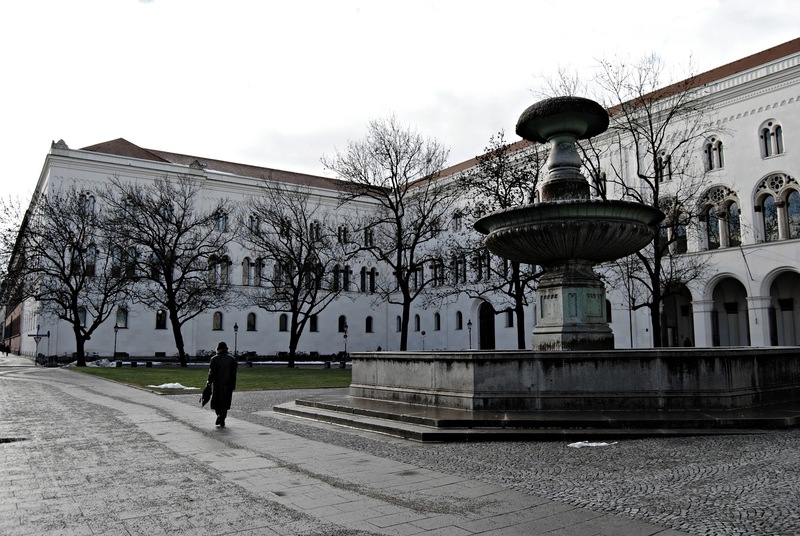 With nearly 50, 000 students – 15 percent of whom are foreign – Ludwig Maximilians University Munich (LMU) is the largest and easily one of Germany’s and Europe’s most prestigious universities. Best of all however is that it lies in the heart of Bavaria in one of Germany’s most loved cities. The home of the legendary beer festival Oktoberfest, Munich is a cultural capital for lovers of all things traditional in Germany. It is also an economic powerhouse – specialising in high-tech, electronics and the automotive industry. This means there is a wealth of job opportunities for graduates for when they have completed their studies. Originally established by Duke Ludwig IX of Bavaria-Landshut – today the university has 700 professors, offering 150 programs of study in the humanities and natural sciences. Students also have the opportunity to take part in a whole diverse range of study – it really is education fit for a King! Fortunately though, studying here does not cost the price of a King’s Crown with LMU only charging 500 Euros a semester. Munich is a place where high culture and excellent academia come together with the pure, raw fun of Oktoberfest. There is something for everyone in this city. The Ruprecht-Karls-Universität Heidelberg is Germany’s oldest university after being founded in 1386; it was also the third established university in the Holy Roman Empire. The rich history of the university itself is enough to draw students here but that is not the main reason you will find yourself wanting to study at ‘HD’. No, it is the famous castle perched 260ft up Königstuhl hillside that overlooks the beautiful city that will drive you here, from the top you can see the beautiful Neckar weaving its way through the city adjoining the centre to the baroque old town. Heidelberg University can be found in the gorgeous Old Town; the grandiose university buildings are dotted around and are a visible reminder of the long history of the institution. Today 26,000 students populate the small city including over 5000 foreign students, the university focuses on humanities and has also enjoyed great success in the sciences and medicines. It is one of the most picturesque places to study and the sights offer a perfect rest bite for when all your work starts to pile up! Berlin is one of the greatest cities in the world – full of history; it is also an intriguing place of unique culture and multicultural flair. Rightfully earning the title as a “city of opportunities”, the Humboldt University Berlin successfully manages to encompass all this great city has to offer. Today, Berlin is one of the best places in the world to visit and even better place to study - cultural diversity meets a vibrant nightlife, making for pulsating student scene. Even more remarkably, is the fact that rental prices and the cost of living in Berlin is incredibly low while despite being the largest city in the country, legendary German efficiency means that it is easy to navigate and get around the place. There are many universities in Berlin that specialise in a range of subjects but the Humboldt University of Berlin is the second largest and oldest in the capital. The university has 28, 300 students, 400 professors and 4, 000 employees and is in the perfect location of central Berlin - on the famous street “Unter den Linden”. 11 faculties comprise the institution, which strongly emphasise the humanities and medicine. With its mix of styles and cultural influences – Berlin’s fascinating character is the perfect accompaniment for students. If you fancy doing something a bit more practical in Germany instead of just studying and if you want to earn some money, then you can combine learning at university and take up a working internship. The German apprenticeship model is legendary throughout the world - luckily it is not just restricted to German citizens, you can complete an internship which offers an invaluable opportunity to get to know the German job market and familiarise yourself with the professional requirements of your chosen career path. What makes a German internship stand out from any other is the fact that there are so many different types and often, they are part of study programmes meaning you learn all the necessary skills and put them into practice while meeting potential employers and building up a network of contacts. Germany is the biggest national economy in Europe, fourth largest economy in the world and second largest exporter of goods globally. This means that there is no shortage of opportunities to undertake an internship and it is also means that there are plenty of possibilities when you have finished one. Many different companies run internship programmes in Germany and it is not a requirement to know German when you start – you can take classes and add further to your skill set. So why not swap the class room for the board room and develop those much needed practical skills. Get ready to familiarise yourself with the Bibliotheks and Vorlesungen (Look them up!) of Germany and brace yourself for an adventure which is guaranteed to be unforgettable and immensely rewarding.